Seriously now. I think I should have done this a little bit earlier. But actually, it's the right time. I suppose many graduates are home now; doing the waiting game. Waiting to hear back from places you applied to. Or maybe not graduates; maybe just regular people. Maybe things are not going as you planned, which is 99% of the time in life. Seriously, the earlier everyone accepts that life rarely goes as planned, the better for everyone. So yes, you had planned the perfect summer, you had planned the perfect year, indeed you had planned the perfect life, but it's not working. Or nothing is happening right now. What do you do while you wait? How do you maximize the time? Here are a couple of suggestions. 1.) Pray: when I say pray, I don't necessarily mean badger God for that exact plan/thing you envisaged. That's not exactly a bad thing. But the essence of prayer here is to learn to relinquish your plans for God's plans. A lot of times our fixation on perfection and our own plans prevents us from noticing progress or even enjoying the present. This is what praying and seeking God helps you do. Also it helps with peace of mind and an ability to trust God. So spend time with God, getting to know more about God, listening to preachers who share God's word, and learning to have a discerning spirit, which of course you would need further down the line. 2.) Shut down social media and build your mental strength: This varies. Social media is fun. But it also can be very, very toxic. All hail the mother devil, Instagram. While you are going through a tough time, it's not especially the ideal time to watch people pretend to be living their best lives on social media. So you might need time away to clear your head. You might also need time away to keep you from bouts of envy. I mean, imagine just breaking up with the love of your life only to see everyone getting engaged or those gorgeous but flamboyant pregnancy shoots. Yeah, no. Or imagine being jobless and then logging on to see your old schoolmates bag the job of YOUR dreams, and seeing them travel the world. It's never easy, even for the best of us. At that moment, we are never logical enough to think that everyone puts their best foot forward on social media, and the pictures you see are only snapshots and peeks into perhaps, otherwise turbulent lives. That being said, it's important to become mentally strong, because you will need it in life. So learn to stop comparing your life with others; learn to stop throwing a pity party for yourself; learn to understand that sometimes things are bad, other times they are good. Indeed people's lives may be as perfect as they portray and no matter how much you convince yourself its all a facade, it really isn't. So until you learn true contentment, just stay off social media. Or keep it, and build your mental strength. 3.) Journal: maybe it sounds mushy mushy, but it helps. It helps you to think. 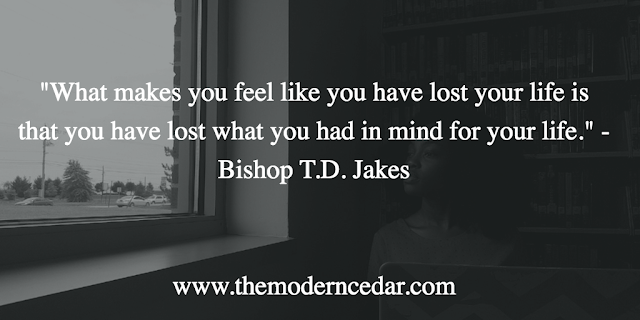 It helps you glean from God/holyspirit/introspectiveness on what is next and how you want to move forward. You would also be able to look back and see how far God has brought you. And best of all, it's therapeutic to describe exactly how you feel. Knowing how you feel also helps with dealing with it. 4. )Open your eyes to see what lessons God has for you: this is sort of a piggyback to the last point. But every season/situation/problem most likely has a lesson for you in it. Sometimes they are not very glaring, but there are lessons. Is it a test in patience? Or in preparation? Or in hard-work? Or to get you ready for a completely different phase of life? 5.) Learn/Explore/Do something different: we all have that one thing we have always wanted to do or learn. Do it now. I'm not going to give some silly, elitist advice like travel the world or work for free or go skydiving. No. If you can't afford it, don't bother your head. But there are things you can do: learn a language? read a book? learn to code? re-read a book? write a book? learn graphic design? Maybe that concept you were taught but never really grasped because were too busy? Well, there is time now. YouTube is filled with [free] resources. The internet is filled with tons of resources. Allow for fun too; yes binge watch your favorite shows or do whatever your definition of fun is. "What makes you feel like you have lost your life is that you have lost what you had in mind for your life. Which means you need a new vision for yourself; one that does not include someone that no longer chooses to be a part of your life." I feel like you can apply this to almost anything. Create a new vision, a new dream, something completely different if the prior plan has failed. Things and plans and even people fail. That's okay too. One last thing is to learn to live beyond your feelings. Please, this can't be overemphasized. We can't be consumed by our feelings all the time; it's so fleeting. Our feelings should have no control over us. I have to write an entire thing on this. The root of most problems is dwelling in our feelings AND letting it conquer us. Anyway, I digress. This is way longer than I thought, but I hope it helps someone out there going through a waiting period that seems to be lasting forever. This, too shall pass. It usually always does.